Perfect for Sony mirrorless camera bodies, this macro extension set includes 10mm and 16mm tubes, giving you closer focus and greater magnification with any Sony E-mount lens. 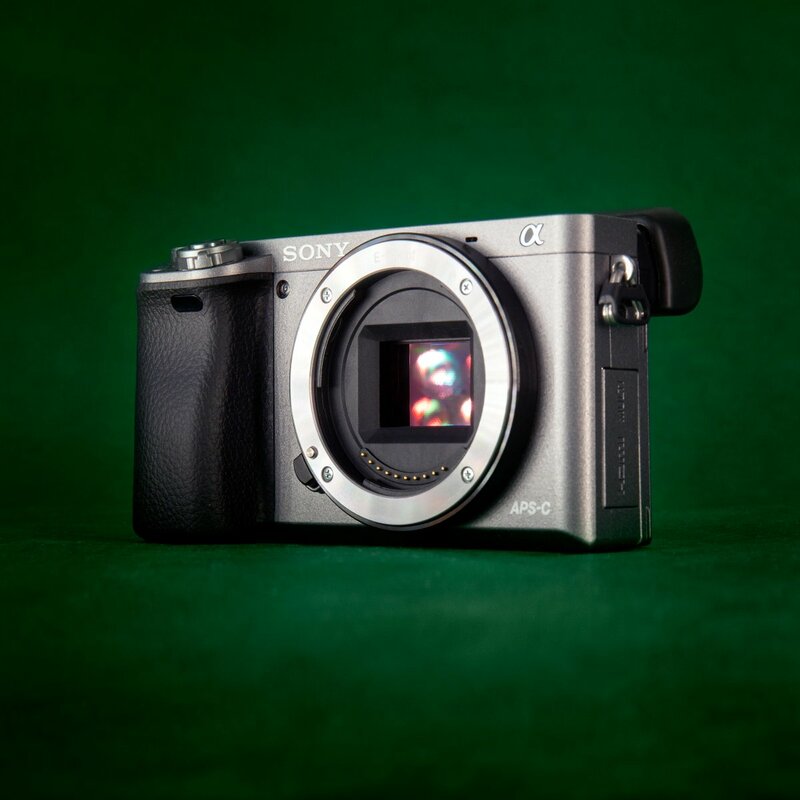 Built in electric contacts allow for autofocus, stabilization, electronic iris, and EXIF data. This set pairs with any of our E-mount lenses, including the Zeiss 25mm, Zeiss 55mm, Sony 28-70mm, and Sony 18-105mm. 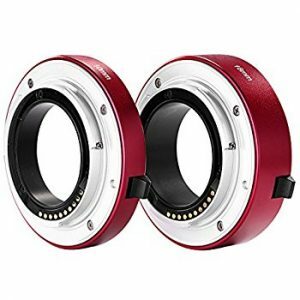 The Sigma USB dock for Canon mount lenses allows you to connect your Sigma lenses to your computer. This allows you to update firmware and adjust focus and stabilization settings using the free Sigma Optimization Pro software. 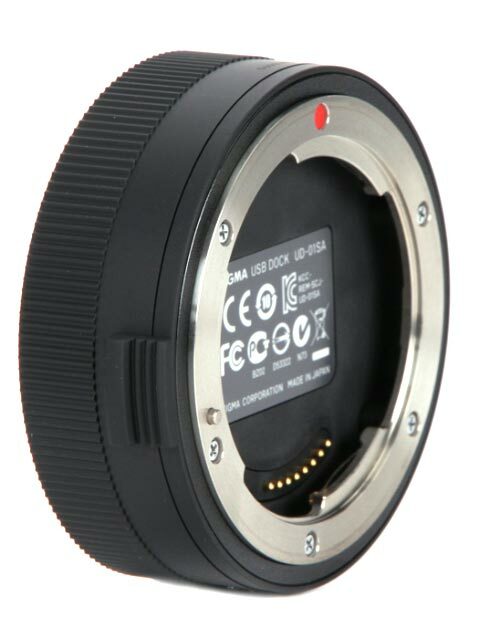 The lens dock is only compatible with the Sigma Art, Contemporary, and Sports line lenses featuring a Canon EF lens mount. See the table below for specific models and features supported. OS, AF Speed and Focus limiter are only adjustable on lenses with a custom mode switch. DN Lenses are not currently compatible with the USB dock. The Zeiss CP.2 50mm T1.5 Super Speed lens with EF mount is an excellent all-purpose lens, and reads as a “normal” focal length on full frame or Vista Vision sensors like the Canon 5D mark III. Zeiss CP.2s have become a standard for film and television productions. The Compact Prime family offer full-frame coverage for DSLRs and speedboosters, and are equally at home on cinema cameras with EF mounts and DSLRs. 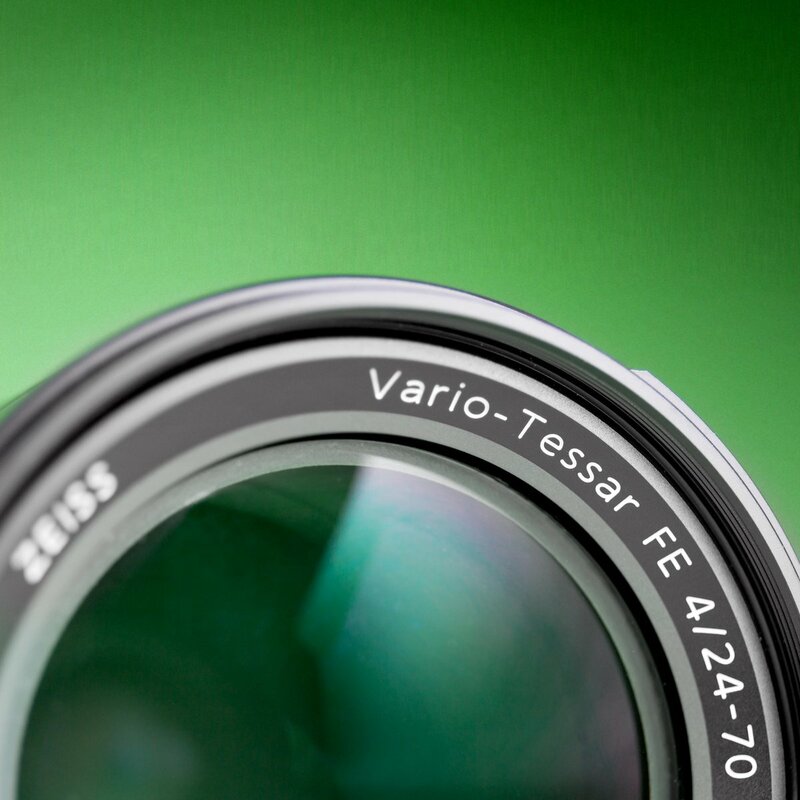 The fourteen-blade iris makes for near-perfect bokeh and Zeiss’ T* coating reduces reflections and flare. Zeiss CP.2s are fully manual, and barrel sizes are matched for easy lens changes, even behind a mattebox and follow focus. 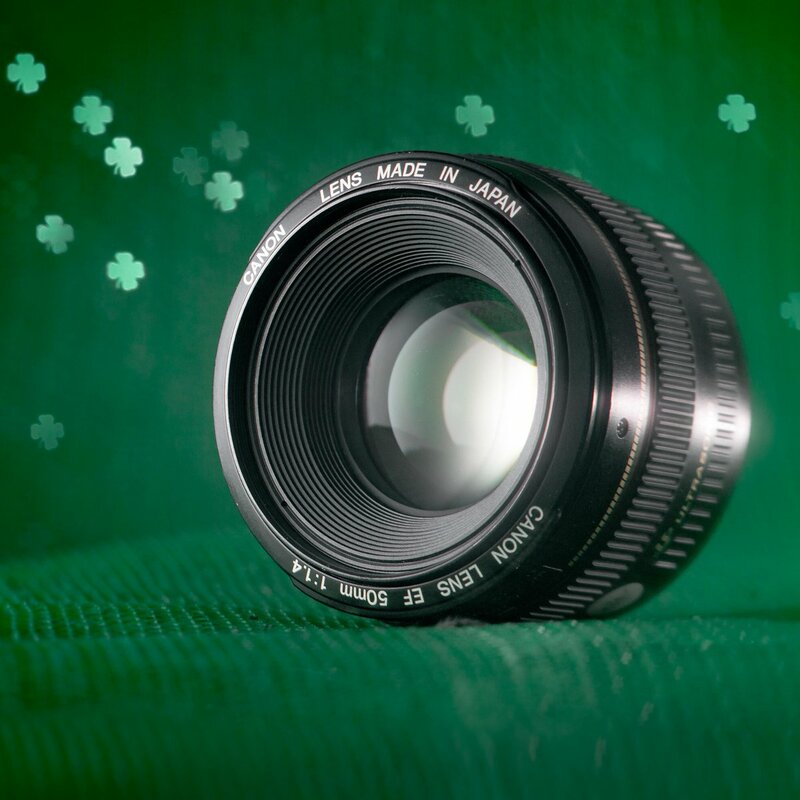 All our CP2 lenses have imperial markings (in feet). Looking for a more affordable Zeiss 50mm? 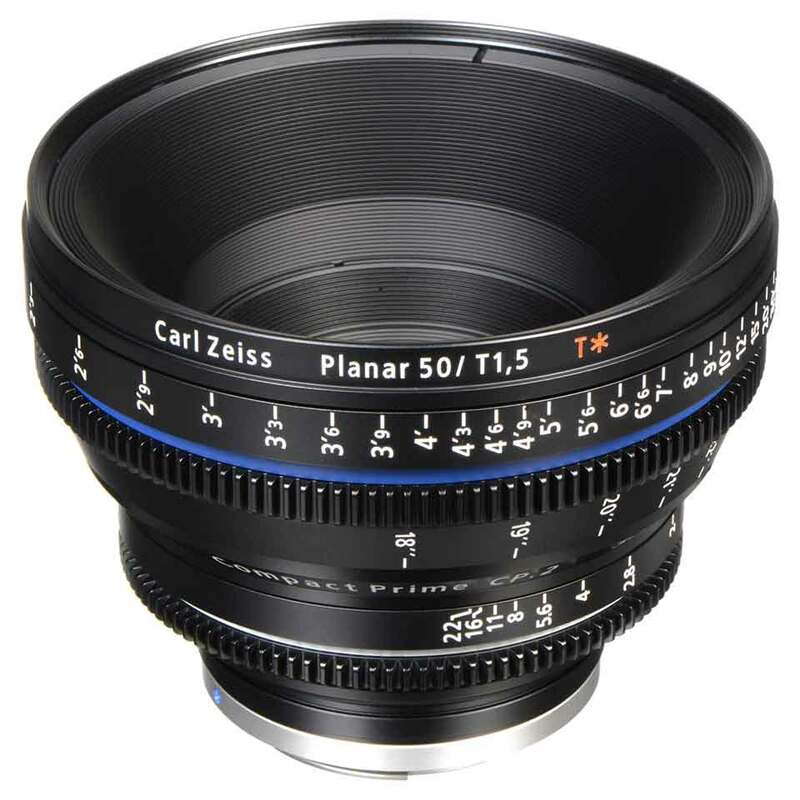 Our Zeiss cine-modded 50mm Planar T* is a popular option. 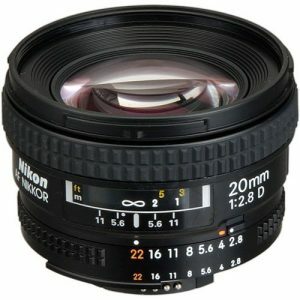 The Nikon Nikkor 20mm f/2.8 AF is a wide angle lens for Nikon F-mount. 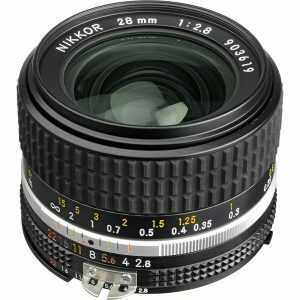 It’s a full frame lens, and will work as a manual lens on any Nikon DSLR as well as most Nikon film cameras, and in autofocus mode on any Nikon camera with a focus motor. It’s Nikon’s smallest and lightest ultrawide lens. Nikon primes are also very easily adapted to Micro Four-Thirds (MFT) and Sony E/NEX mount, often for video shooters. Close focus is about 10 inches. Set your f-stop manually from f/2.8 to f/22 with detents. This wide angle lens has 62mm front threads. 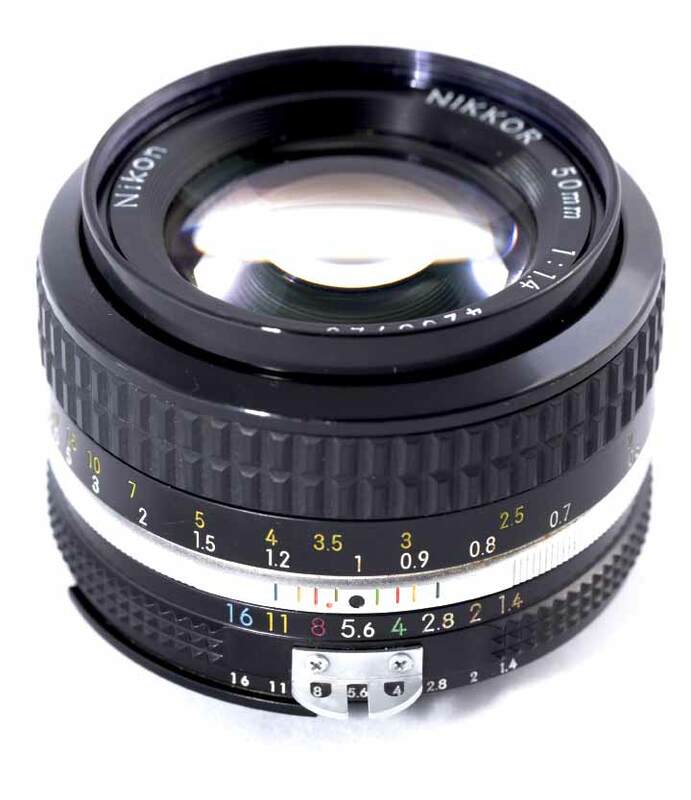 The Nikon Nikkor 50mm f/1.4 AI prime lens is manual focus. This one is vintage but still in great shape. It’s sharp, fast, and a popular lens for Nikon mount. It’s small, tough, and great in the dark. Nikon primes are also very easily adapted to Micro Four-Thirds (MFT) and Sony E/NEX mount, often for video shooters. Close focus is 18 inches. 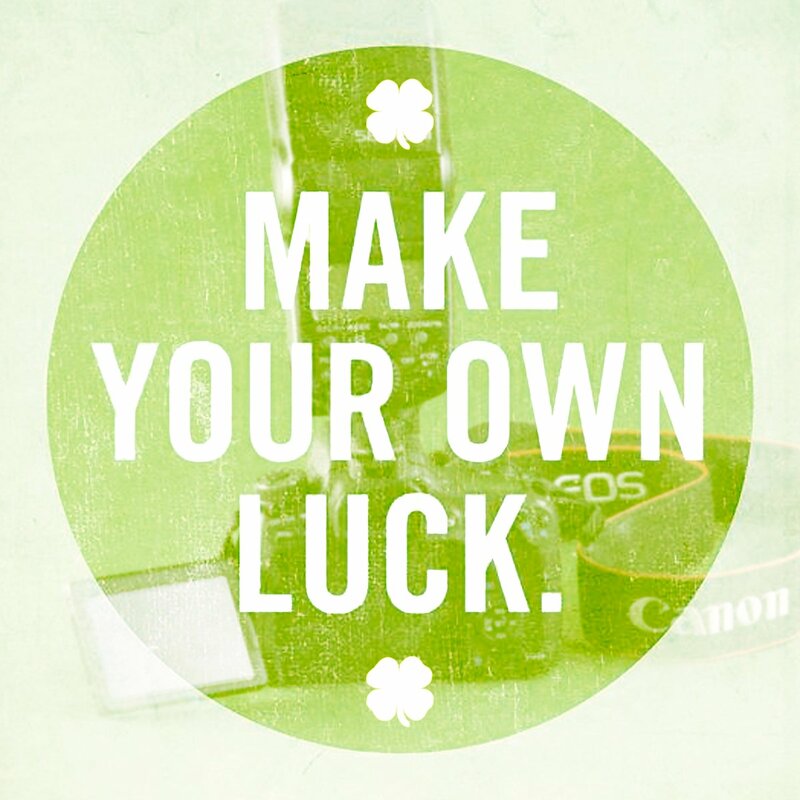 Set your f-stop manually from f/1.4 to f/16 with detents. This lens has 52mm front threads. 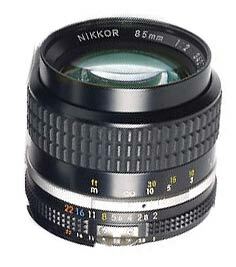 The Nikon Nikkor 28mm f/2.8 AI-S prime lens is manual focus. It’s very sharp, and a very popular wide angle lens for Nikon mount. It outperforms other Nikon 28mm lenses in bench tests, including the newer 28mm AF lens. It’s small but tough, with an all-metal housing. Nikon primes are also very easily adapted to Micro Four-Thirds (MFT) and Sony E/NEX mount, often for video shooters. Close focus is a remarkable 7 inches. Set your f-stop manually from f/2.8 to f/22 with detents. 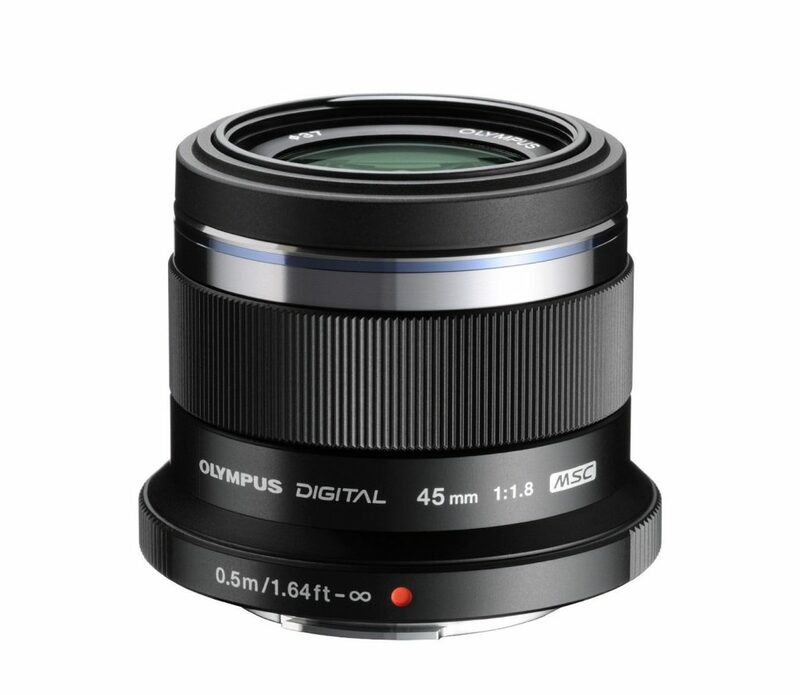 This lens has 52mm front threads. The Nikon Nikkor 85mm f/2 AI-S prime lens is manual focus. It’s very sharp, and a popular short telephoto lens for Nikon mount. It’s small but tough, with an all-metal housing. Nikon primes are also very easily adapted to Micro Four-Thirds (MFT) and Sony E/NEX mount, often for video shooters. Set your f-stop manually from f/2 to f/22 with detents. This lens has 52mm front threads. 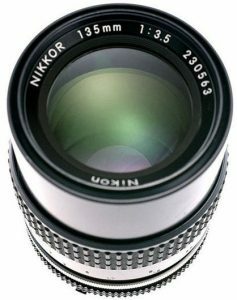 The Nikon Nikkor 135mm f/3.5 AI-S prime lens is manual focus. It’s remarkably sharp, and a popular telephoto lens for Nikon shooters. Nikon manual primes are also very easily adapted to Micro Four-Thirds (MFT) and Sony E/NEX mount, often for video shooters. Set your f-stop manually from f/3.5 to f/32 with detents. 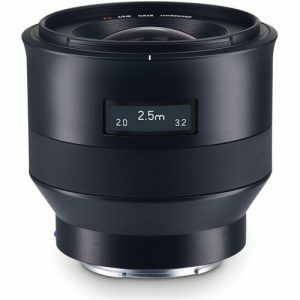 This lens has 52mm front threads.